Lead contamination on Capitol Hill is a topic of recent news affecting municipal water treatment systems. As recently as July 2016, Capitol Hill workers at the Cannon Office Building were told not drink the water due to high levels of lead. The Cannon Office Building is the oldest congressional building on the Hill. However, many other buildings in the area were built during a time when lead pipes were common for drinking water supply. This condition makes them more susceptible to lead contamination. 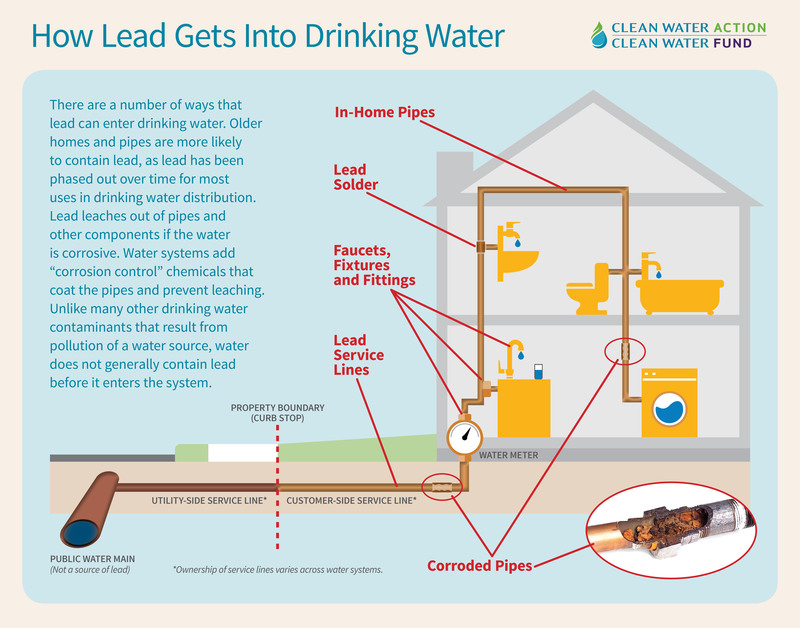 So, how does lead enter a building or your home’s water supply? Older homes and buildings have pipes containing lead and should be replaced over time. There are other sources, too, affecting the drinking water of newer buildings and residences. Regular testing is an imperative. In the Capitol Hill incident, testing had not been completed in at least nine months. * According to the Centers for Disease Control and Prevention, any exposure to lead is cause for concern. Extended exposure increases the risks of side affects. Children, and babies in particular, are particularly vulnerable to lead poisoning. It stunts their brain growth and do permanent damage. Lead poisoning is often based on the size and age of the person and the level of lead. At high exposure levels, causes nervous system problems, developmental issues and brain and kidney damage. According to the EPA, lead poisoning causes problems in adults, premature birth or reduced fetus growth in pregnant women, lower IQ, seizures. Worse problems are seen in children. Hundreds of offices on Capitol Hill and countless businesses across the country now rely on water delivery services, bottled water and water coolers for drinking water. Treating your water provides peace of mind when considering the possible contaminants in the water supply. While all of the options offer improved water quality, Hague Quality Water of Maryland is proud to be the ONLY service provider of bottleless water coolers to pass all CAO administered lead tests for buildings on Capitol Hill. Even more, bottleless water coolers are the most environmentally friendly and easiest to manage and maintain. To efficiently remove lead and protect the environment, contact Hague Quality Water of Maryland for a free water analysis and demonstration.